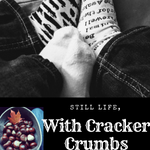 Book Review: Girl Most Likely by Max Allan Collins | Still Life, With Cracker Crumbs.. I like the premise of this one- a high school reunion and a murder (surprised that isn’t done MORE lol). But yeah sounds like Krysta needed to stay front and center as the protagonist. Hopefully like you said this series gets its feet under it as it goes. Great review! I’m tempted to pick this up. I would be interested in your thoughts after you read it, if you do! And thanks, I don’t often write *negative* reviews so this one made me slightly uncomfortable honestly! I wanted to be honest and critical but not trash talk it accidentally. So it was tricky for me! I thought you handled it very well, it doesn’t come off as a negative or trashing the book kind of review at all, I felt like it gave a good, balanced account of both the good and bad things. I think the best reviews do that, cause let’s face it no book is perfect, so I wouldn’t worry- I think it’s a very fair review! Thanks for reviewing my novel. Though you didn’t love it, you were thoughtful and fair, and that’s appreciated. I hope you don’t mind a few comments from my end. Krista insists that her father move in with him when she determines he’s suicidal as he fails to deal sufficiently with his wife’s/her mother’s death. He only gradually succumbs to his detective instincts to realize Krista has been living with somebody, and his response is to try to make sure she didn’t move her boy friend out the door for his (her father’s) benefit. She goes with her father to the reunion because she has just broken up with her boy friend (who she’d gone to the first night of the reunion with the night before); her father and her late mother (a teacher) were well-known to her friends. Krista, as police chief, finds “cutting loose” with her friends a tough thing, because of her position of responsibility (again, as police chief). The structure of the book is designed to absolutely divide the chapters between Krista and her father — Keith does not have more to do in the book than she does. She has overall responsibilities over the investigation that he does not. Some find the ending of the book abrupt — it is; that’s intentional, with the villain vanquished, taken out by Krista not Keith. Roll credits. Again, I appreciate your attention and the thoughtful way she expressed your positive and negatives. Thank you so much for taking the time to visit my review and comment! It is always so exciting when an author pops by! I did know that she had her dad move in due to suicidal thoughts, although somehow I missed that he was digging through her garbage to make sure she didn’t move a guy out on his behalf. I blame my four year old for distracting me. Lol. I can see that she might have issues cutting loose due to her position in town – that would make it tough. Although having your dad there might make it tough too, if you don’t mind my saying so. 🙂 I can see how Krista had her own duties to carry out for the investigation, but I did feel like Keith’s character overpowered her character. Perhaps it was just the fact that Keith had more confidence and was used to murder investigations, where Krista was still finding her way. I might have read his confidence as dominance. I didn’t have a problem with the ending actually – I didn’t need a big wrap up, and in reflection on the killer and motivation, I do feel now that I have enough of an explanation, so I should probably amend that in my review. Like I said though, I did really like this setting and these characters, and I really hope that you plan to write more books with them. I would really like to see how Krista evolves, especially after solving such a big case, her first murder investigation. Thanks again for coming by and taking the time to comment! You’re very welcome. I have delivered Book Two. The chapters are strictly back and forth between Krista and Keith again. This time, however, Keith does not leave Galena to track down an out-of-town lead. This means that there are chapters where the two work together, which I really like, because they make a good team — neither dominating the other, really. Thank you again for your measured look at my novel and in your comment. And I know all about four-year-old distractions. We have two grandchildren, a three year-old boy and a seven-month old girl, and the grandparent gig is every good thing you hear it is.